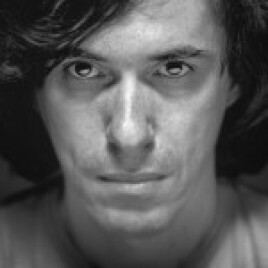 Born in Bucharest in 1956, he debuted as a writer in 1978. Author of five collections of poems and several volumes of prose and essays. His early works, as opposing to the communist system, were strongly inspired by American authors from the so-called New York School: John Ashbery and Frank O’Hara. Cărtărescu is the winner of numerous European literary awards (including Romanian Writers’ Union Prize, one of the most important Romanian literary awards, or Vilenica Prize, granted by Slovenian Writers’ Union to writers from Central Europe). The novel Orbitor (Blinding) has been described by European critics as “the answer to Proust and Joyce”. Stig Sætebakken, the artistic director of the Norwegian Festival of Literature, has stated that: “Reading Cărtărescu’s prose is like opening a door into an incredibly messy room that at the same time manifests an almost meticulous kind of order. Cărtărescu’s great strength lies in describing life’s chaos with uncanny precision”. In Poland two of his novels are known: Dlaczego kochamy kobiety (Why We Love Women) (2004, Polish edition: 2008) and Travesti (1994, Polish edition: 2007). In 2013 Cărtărescu was nominated for the Nobel Prize in Literature.